It looks like the west coast and the south are joining forces. 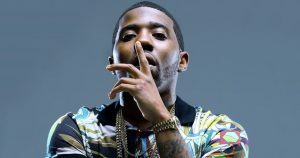 Sacramento rapper Mozzy and Atlanta rapper YFN Lucci are currently working on a joint album, and they’re looking for hot beats. Mozzy’s manager David “Dave-O” Grear, took to Instagram to send a message to all musicians and producers. On the post, Dave reveals that Mozzy and Lucci are teaming up for a project, and then goes on to request the beats. “Mozzy x YFN Lucci Projetct!! Send beats to [email protected]” he instructed in the post. There’s no set release date for the album yet, but Dave insists the project is “almost done.” Check out Dave-O’s announcement about the Lucci Mozzy album below.